What is the relation between the six-cornered snowflake and QCD? The fact that every single snowflake emerged from cloud interactions is different and in a special structure is now common knowledge at a very superficial level. Even, there is Doctor Who episode about it, relating this uniqueness to an alien machine, as always it does. But, aside from the imagination of Doctor, what is the real mechanism beneath the six-cornered snowflakes? Most of the time, the smallest part of an event has a rather meaning than itself, as the strongest notion of a theory, or the most memorable sentence of a poem. Which is why all of us invigorates watching the snowflakes falling through clouds toward our eyes, whether there is a storm or a gentle breeze outside. The journey of snowflakes has inexorably begun at its smallest parts, as all intriguing things, its quarks. 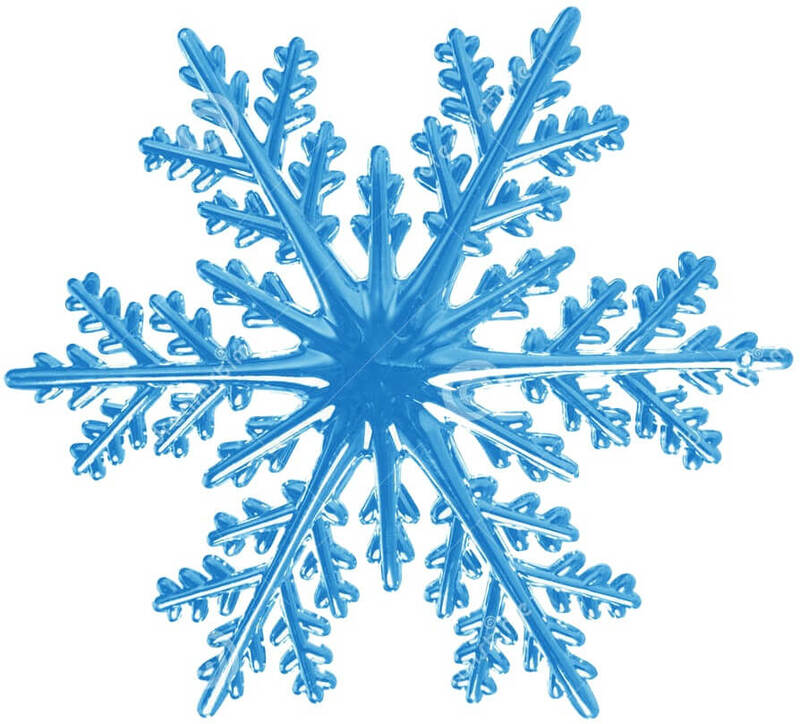 The unique pattern of a snowflake is due to the utterly significant connections between hydrogen and oxygen atoms, caused by QCD and QED. Actually, due to all fundamental forces ⚊ strong, weak, electromagnetic forces and gravity(the least efficient at the atomic level). Quantum chromodynamics(QCD) is the superior way to comprehend not only how the connections between subatomic particles created and shaped our world, but also what the universe may turn into, in accord with the fundamental forces. In the Standard Model, electrons and quarks are the stuff that everything is made of, and they themselves are not made of other stuff(1). QCD is the theory as to how the strong force and the weak force are mediated by the exchange of subatomic particles as regards Quantum Field Theory. In 1964 Murray Gell-Mann and George Zweig independently proposed a new theory. They suggested that the particles were made up of other, still more elementary things, which they named quarks(2). The name come from James Joyce’s Finnegans Wake ⚊ “Three quarks for Muster Mark”. In QCD, there are six types of quarks, known as flavors, ⚊ up, down, strange, charm, top and bottom ⚊ and each of them has three colour option ⚊ red, blue, green ⚊ and therefore named Quantum Chromodynamics. The interactions between quarks, according to their colour state, proliferate the number of attractive protons bonding with other elementary particles, in relation to QED(Quantum Electrodynamics). To better comprehend this, we need to understand Feynman diagrams, created by distinguished physicist Richard Feynman. Furthermore, the discrepancy between and the matter and the antimatter is a subject of Quantum Field Theory in accord with QCD. But I digress… Molecules in which protons make connections with each other(proton-proton bonding) are also affected by the strong interactions between quarks and gluons in their core. For molecular bonding, atoms require proper conditions by which all the matter in the universe occur. In other words, water cannot be formed out of subatomic particles which consist of the quarks heavier than up and down quarks. In that regard, we can say that the formation of water out of two hydrogens and one oxygen atom is due to the strong interactions between subatomic particles, and also the electromagnetic force. Without QCD, the formation of matter, such as water and water vapour, might still be remained a notoriously mysterious question. The process by which the geometry of the water molecules transferred to the snowflake is known as faceting(3). Faceting is that water molecules interact with crystals to form snowflakes, but, because of the subatomic interactions, each crystal has a unique pattern to form a snowflake, relative to its quantum state. The journey of snowflakes is a representation for the simplicity lurking into the perplexity of convoluted structures and therefore scrutinized by physicists, also biologists, for a long time. According to Kepler, why bees build hexagonal honeycombs(4) is a relative question to why snowflakes are hexagons ⚊ 'an agent' sculpts them. “Since, then, we agreed that the cause of the imposed six-cornered shape lay with an agent, we of course wondered what that agent was, and how it acted: could it be as immanent form or as efficient cause from outside?” Kepler writes in On The Six-Cornered Snowflake, “did it stamp the six-cornered shape on the stuff demanded(5)…” Now, we know there is no agent but attractive subatomic particles. (1) Butterworth, Jon. "Glossary: The Standard Model Particles and Forces. "Smashing Physics: Inside the world’s biggest experiment. London: Headline Publishing Group, 2015. 13. Print. (2) Trefil, James. "Quarks." The New Book Of Popular Science Vol-3. Grolier Incorporated, 1988. 321. Print. (3) Cox, Brain and Cohen, Andrew. "The Universe in a snowflake. "Forces of Nature. London: William Collins, 2017. 72. Print. (4) Cox, Brain and Cohen, Andrew. "Why do bees build hexagons?. "Forces of Nature. London: William Collins, 2017. 18. Print.